I do not do well with change. I really never have. I’ve done lots of personal growth classes over the years, beginning in 1974 when I was 19. They all say to embrace change. Well, after all these years, it’s still not easy for me. Although in the last five years, I’ve chosen to accelerate my growth and learning and it has caused many changes for me. I had a melt down today during a phone conversation with one of my friends. It surprised me, only her kindness, her way of being compassionate, just really allowed me to feel deeply about the changes that are about to be taking place in my life. I’ve been in action mode with all that I need to do to prepare for my move to the other side of the Twin Cities, as I move in with Hale, my love for the last almost 12 years. We didn’t make this decision lightly. Heck, we’ve been a couple since the summer of 2004! I sold my home recently and will close on it mid April. I have caught myself lately thinking about the routes I take to all of the familiar places I go throughout my week and every little thing about my patterns and habits. It caused me to slow down and pay attention even more than normal. You see, in all of the 23 1/2 years since I moved to Minnesota from Indiana, I’ve lived on the east side of the Mississippi River. If you don’t know anything about the Twin Cities of Minneapolis and St. Paul, the suburb I have lived in is on the St. Paul side. I’m moving to a Minneapolis suburb called Edina, on the west side of the Mississippi River. In high traffic times it can take an hour or more to get from one side to the other, so many people don’t even bother to leave their side of the river. I have gone all over the Cities not thinking much of it. Hale and I traveled this distance now for almost 12 years every week. 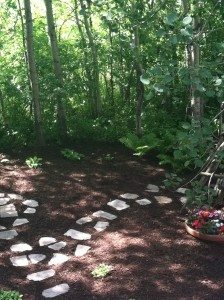 When I built my beautiful home, (my sanctuary backyard is shown in the photo) it was after my divorce. It meant a place I created with all of my touches and it meant a safe place to begin that chapter of my life back in 2003. I needed to get used to living alone after more than 20 years. As it turned out, I grew to adore living alone. I have changed and grown over the last 13 years since moving. I learned to stand on my own feet, I learned who I was and learned to love myself. I discovered in the last 4 years I have lots to share and give to others regarding all of my lessons I’ve learned in my last almost 61 years on this planet. 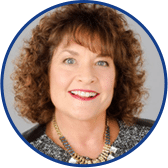 Now as a certified coach, I found my passion lies with teaching people, specifically women, to own their gifts and share them with others, just as I have. My goal is to touch lots of women with my circle groups, small and large, and to share from their hearts who they are. 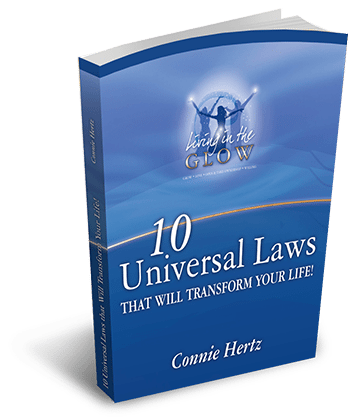 My Kauai retreat includes men and women, and I’m passionate about sharing 10 of the Universal Laws that work in our lives whether we’re aware of them or not. So why not teach others about them and learn to work with them? And to do this in paradise with so many unique experiences throughout 7 days and 7 nights, is pure heaven! I am excited about beginning a new chapter of my life and being a family with Hale under the same roof. It’s time and we both knew it after our 15 days in Europe together. I no longer adore living alone. It’s time to move on. Have you had experiences in your life moving on? Please write a comment below about what you learned. It may just help me as I will be going through my changes to come! Great reflection Connie, I have been through quite a bit of change in my life. When one door closes another will open. It is always a little scary, but also so exciting. Fresh new perspective on life. You get to make your life what you want. New chapter, new look, new surroundings, new area, new beginnings. Enjoy your transition, you will love it. Best to you and Hale! As always, I appreciate your authenticity. What you are doing is actually huge from my perspective and the time does seem right for you and for you and Hale. Thank you Louise for taking the time to comment~! I appreciate you as always!